Presently horticulture has established its credibility in improving income through increased productivity, generating employment and in enhancing exports. The percentage share of horticulture output in Agriculture has become 30%. Under the purview of Agriculture & allied activities, the share of plan outlay for Horticulture which was 3.9% during 9th Plan, has increased to 4.6% during the Twelfth Plan. Significant progress has been made in area expansion resulting in higher production. Over the last decade, the area under horticulture grew by about 3% per annum and annual production increased by 5.4%. During 2016-17, the production of horticulture crops was about 300 million tonnes from an area of 25.1 million hectares. The nutritional intake from fruits and vegetables is higher among urban population than that of rural population. Along with the urbanisation, people are likely to increase their calorie intake at a higher pace through fruits and vegetables. Our country is the second largest producer of Vegetables and Fruits and our presence in global market is significant. Grapes occupies the premier position in exports with 232.9 thousand tonnes valued at Rs. 2,08,835 lakhs. Other fruits which have attained significant position in exports are Banana and Mango. Fresh vegetable (e.g. Peas, Potatoes etc.) exports have been on the rise. 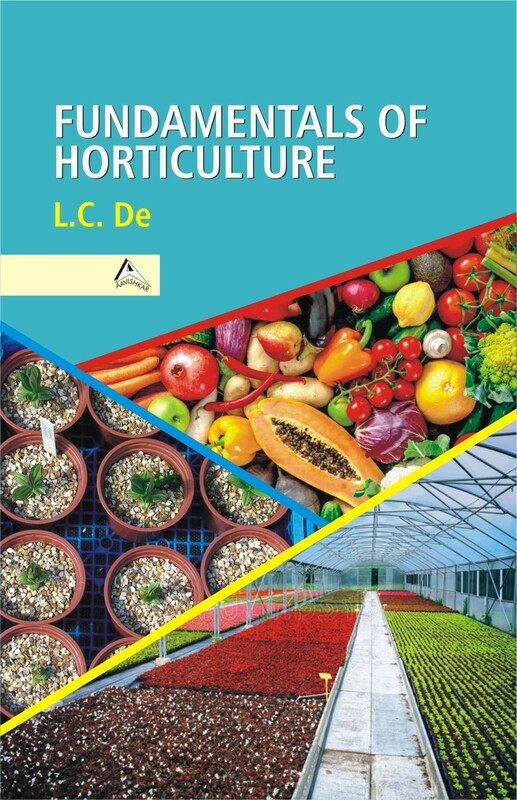 In view of above, the present publication on ‘Fundamentals of Horticulture’ is planned in 11 interesting chapters vividly highlighting various aspects covering Horticultural Scenario in World & India, Economic Importance of Horticultural Crops, Classification of Horticultural Crops, Nutritive Value of Horticultural Crops, Export and Import of Horticultural Crops in India, Agro-climatic Zones, Nursery Establishment and Management, Soil and Climate for Horticultural Crops, Vegetable Gardens, Orchard Planning, Layout, Planting and Management, and Plant Propagation. The book will be useful to teachers, students, scientists, nurserymen, landscape designer, planners, amateurs and professional gardeners and above all farmers.